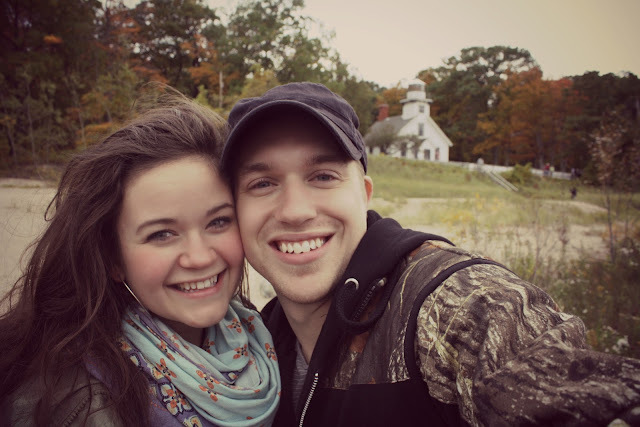 thisniftyearth: Traverse City 2013 | WE'RE ENGAGED! Traverse City 2013 | WE'RE ENGAGED! Hello everyone! 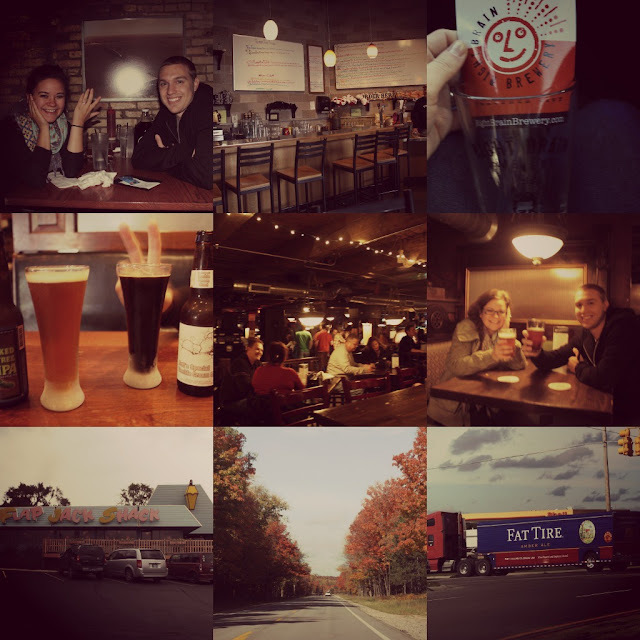 Here are some pictures from Beard & I's wonderful weekend up in Traverse City. I love being outside. The weather was wonderful! A little rainy, but nothing terrible. The colors were so gorgeous. Highlight if the weekend? BEARD & I GOT ENGAGED! I know you guys already know - I've mentioned it... :) The picture of us is right afterward! 1. Mission Point Light House - that's where he proposed! 4. I wanted to go to this so badly! 1. 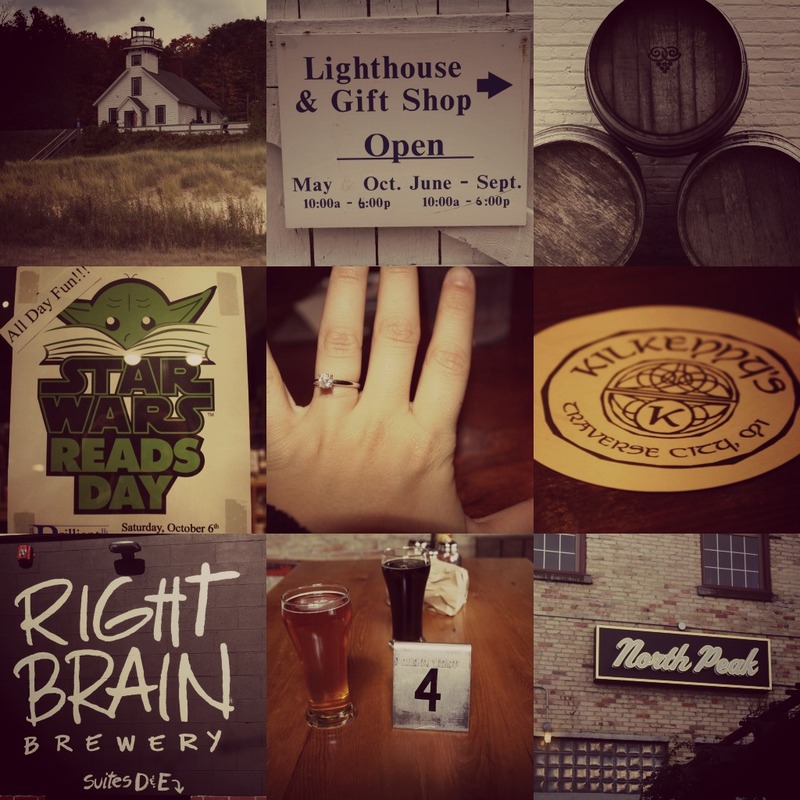 I'm still blurry-eyed & happy about my ring at Mackinaw Brewing Co.
3. Fun stuff from Right Brain!